Six years ago Aaron Judge's fans sat in Home Brew Alley at Mulcahy Stadium. Today a select few get to sit in a cheering section named for him at Yankee Stadium. 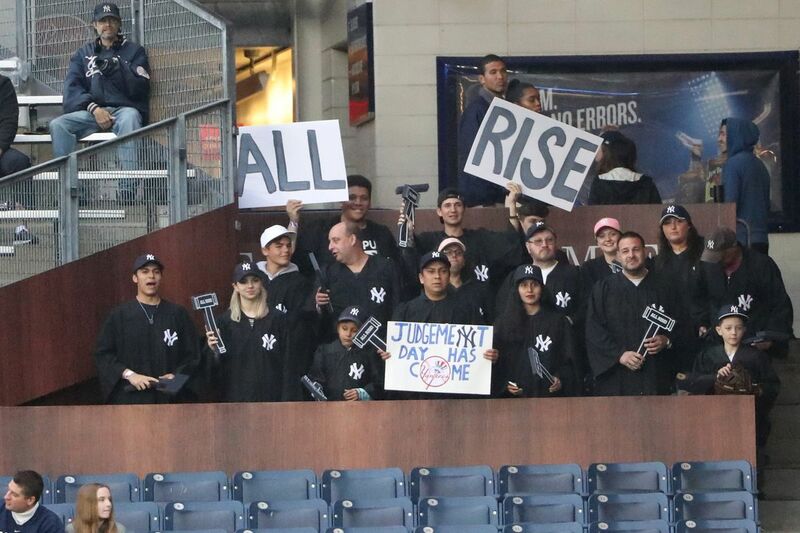 Judge, who played right field for the Anchorage Glacier Pilots in the summer of 2011, this week was honored with his own cheering section at the Bronx ballpark. Eighteen fans are picked at random to sit in the Judge's Chamber in section 104 behind the right field fence. The seats have been framed to look like a jury box, and fans wear black judicial robes as they wait hopefully for one of Judge's bombs to sail their way. Judge didn't hit any homers during his summer with the Pilots. But he dazzled during batting practice. "There's a thunderous crack that comes off his bat," recalled Jon Dyson, a Glacier Pilots board member who was the team's general manager in 2011. "During batting practice every day, it was a treat to see him put on a show. We lost probably a quarter of our baseballs that year because of him in batting practice. "Even opposing teams would sit there in awe and watch him during batting practice." Though Judge didn't win the Alaska Baseball League's home run derby that summer, he was one of 12 players who participated in it. Dyson remembers him hitting mammoth shots that cleared the stadium lights at Mulcahy. Judge was already an imposing figure when he came to Alaska after his freshman season at Fresno State — 6-foot-7 and 230 pounds. "We referred to him kind of as a man-child," Dyson said. "He physically was clearly one of the biggest players we've ever had on the team." 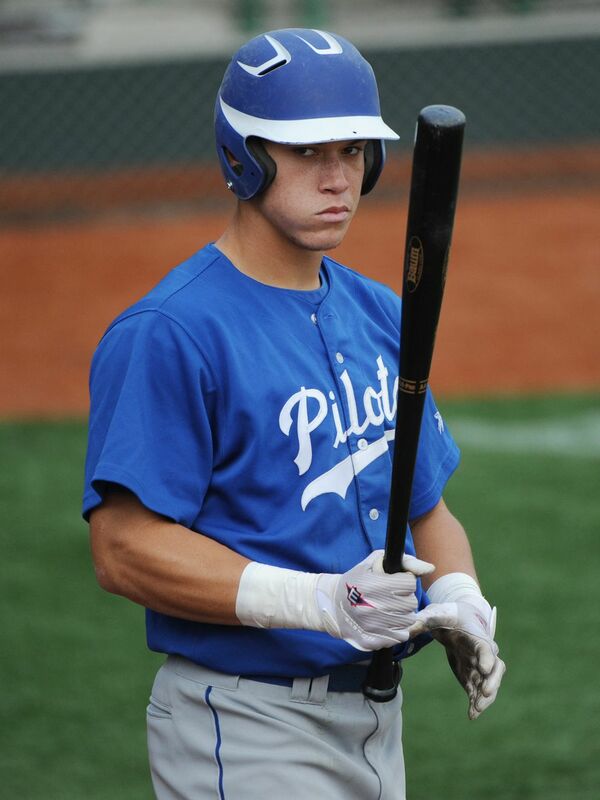 Judge hit .289 for the Pilots and was named the league's top prospect at the end of the season. 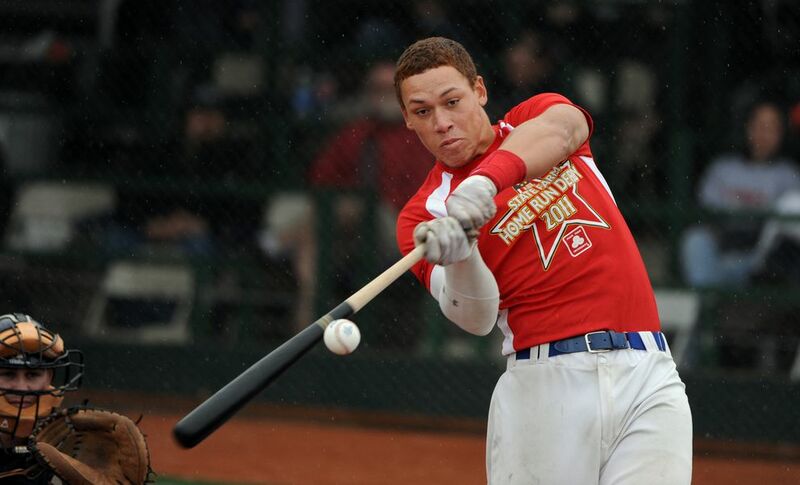 Two years later, in 2013, Judge became a first-round draft pick for the Yankees. He made his Major League debut in August and this spring won a starting job. Pete Christopher, the general manager of the ABL's Mat-Su Miners, remembers Judge being a physically imposing player for the Pilots, but not much else. "He stood out, but I don't remember him setting the world on fire when he was up here," Christopher said. "It just goes to show. You never know." In 2008, Los Angeles Angels pitcher Garrett Richards spent the summer pitching for the Miners. He was a highly touted righthander from the University of Oklahoma, but Christopher said it took some time for Richards to warm up in Alaska. "The first time I saw him pitch was during a road trip to Fairbanks," he said. "I was like, 'What's the big deal about this guy?' He was wild a little bit, but he settled in as the season went on." Each year, the Alaska Baseball League attracts college players looking to make an impact. This year's batch should start arriving at the end of the month in preparation for the June 5 season-opening games. Each season features players who go on to play in the major leagues, although there's often a gap between their time in Alaska and their arrival in the MLB. 'Yeah, he played with us,' '' Dyson said. "You never know what type of talent you're gonna get." 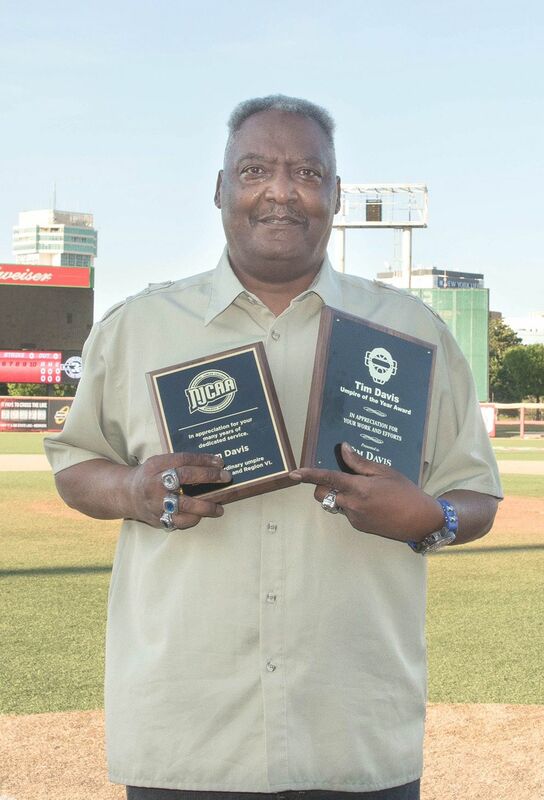 Tim Davis, a longtime Alaska Baseball League umpire who was set to be this summer's crew chief, died Sunday in Kansas. This would have been his 24th season in the ABL, said Sacha Sanguinetti, who worked with Davis as an ABL ump. "The thing that stands out about him is how hard he worked," Christopher said. "How dedicated he was to being an ump. He was a good ump. He rarely blew a call." Christopher said Brad Polk, a member of last summer's umpire crew, will replace Davis as this summer's crew chief. Sanginetti said by email that Davis died from complications from pulmonary fibrosis. The news of his death came as a surprise, Dyson said. "He had told us he had had some medical issues but never really made it seem like anything of a concern," Dyson said. "I'm pretty shaken up still." Dyson called Davis a charismatic man with a big, physical presence. "He got along with all the staffs and coaches," he said, "but when it came down to game time, it was his game and he would control it." The Fairbanks Goldpanners will continue to be an independent team this summer. The oldest team in Alaska, the Goldpanners aren't scheduled to play a single Alaska Baseball League team. Their 21-game home schedule will feature series against three West Coast teams — the Seattle Studs, the San Diego Waves and the Northwest Honkers of Seattle. They'll also play a few games against teams made up of Fairbanks adult-league players. Their road schedule includes two tournaments in British Columbia. It's likely they'll wrap up the season at the National Baseball Congress World Series in Wichita, Kansas.